With the unprecedented rise of antisemitism of on North American college campuses and in communities throughout the world, now is not the time for Alpha Epsilon Pi to be silent. Our Brothers are stepping up, speaking out and fighting back. Last spring, three AEPi Brothers at Towson University were attacked steps from their house. Their assailants chased and beat them yelling antisemitic slurs. The Brothers of Tau Mu were shocked that something like this could happen on their campus. The Brothers of Tau Mu stepped up and organized Towson University’s first anti-hate rally for the entire community. Members of Greek life, students, faculty and others joined with Towson University president Kim Schatzel, the Simon Wiesenthal Center and the Greater Baltimore Jewish community to take a stand. “We created this event as a way to bring our Towson community closer together and to let those that hate know we will not bow down to them. We will not allow our setbacks to define us. As Nelson Mandela once said ‘No one is born hating another person because of the color of his skin, or his background or his religion. People learn to hate, and if they can learn to hate, they can be taught to love, for love comes more naturally to the human heart than its opposite,” said Brother Solkowitz. The Brothers organized a campus-wide “Two Days Against Hate Rally” on campus and, working with their local Hillel and the Simon Wiesenthal Center, brought in speakers (including a former member of the KKK) to discuss hate and how to fight it. The incidents at Towson and Appalachian State are not isolated. The number of reported antisemitic incidents in the United States surged 57 percent in 2017, according to an annual report by the Anti-Defamation League. A separate report found a more than 250% in specific antisemitic white supremacist incidents on college campuses. 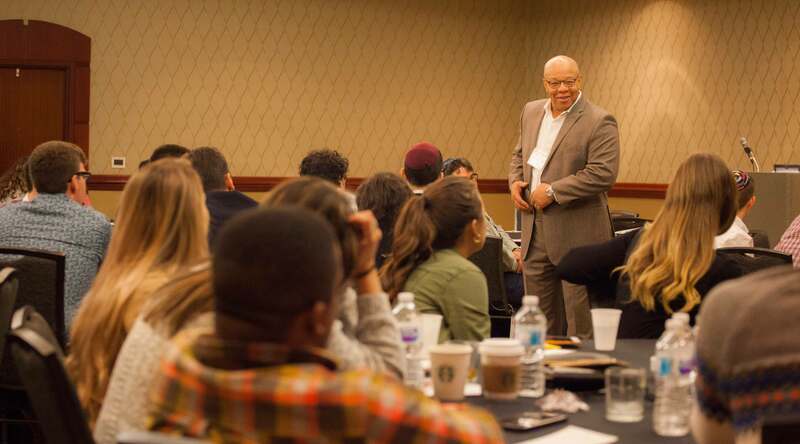 The Combat Hate conference brought together more than 50 Brothers and other fraternity and sorority members from across the country to learn tools and skills necessary to fight hate on campus. With speakers ranging from attorneys and human resources consultants to a former IDF squad commander to African-American pastors, Combat Hate worked to educate the college students about how hate groups organize and manifest themselves on college campuses and how to counteract their messages and organizing tactics. “Our Brothers want to do the right thing. They want to organize these kinds of responses on their campuses and they want to be able to do these things appropriately and safely. 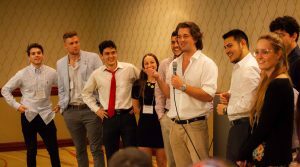 Combat Hate brought Brothers and other Greek leaders together to explore ways to fight back,” said Fleischer.